You can now view each chapter as it becomes available in the 3rd Edition, Online Version, of The Explorers Of Ararat: And the Search for Noah’s Ark. Kurdish workers who created a Noah’s Ark movie set on Mount Ararat signed a statement to that affect saying that they worked for Parasut, NAMI’s guide, to do so. This indicates that the Noah’s Ark Ministry International (NAMI) claims of finding Noah’s Ark appears to be a complete hoax. Robin Simmons & George Adams re-release videos “Riddle of Ararat” and “Visions of Ararat” featuring Mount Ararat helicopter views, alleged eyewitness Ed Davis interview, and researcher Don Shockey photos. 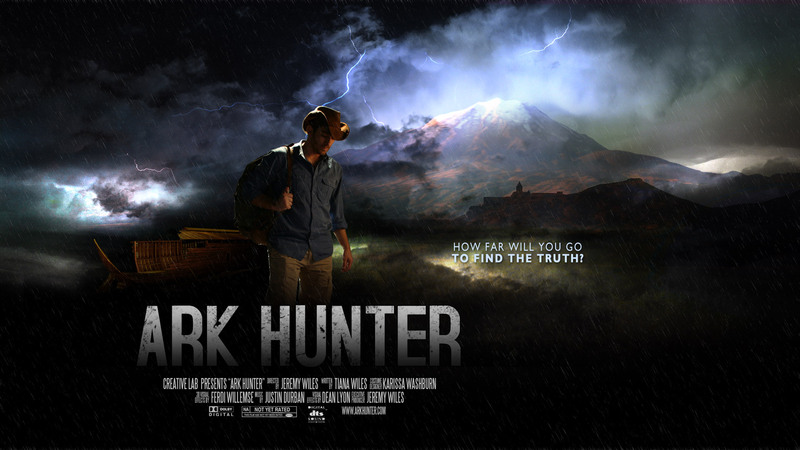 Jeremy Wiles plans an Ark Hunter movie : How far will you go to find the truth? NAMI responds without any evidence for their Noah’s Ark claims and with allegations of fraud without any evidence. Dr. Don Patton shows the wood he found along with the alleged NAMI site while Creation Ministries International provides support. Donald Mackenzie is missing on Mount Ararat. He was last in contact, camping at 12,000 ft on the east side of the mountain, on the 28th of September 2010. Both of his mobile phones went dead on that day. Here is a more detailed article on Donald’s plan and focus in his climb. This is a Sky News article on the British man going missing around Mount Ararat, Turkey. Please use the contact form on www.NoahsArkSearch.com if you have any information about him. Answers in Genesis announced the Ark Encounter with a life-size Noah’s Ark planned for northern Kentucky near the Creation Museum. Dr. John Morris of the Institute of Creation Research (www.icr.org) re-published his article “What if We Find the Ark?” from Ararat Report No. 10 (September 1987): 5-6 on Dr. Randall Price’s website. Dr. Randall Price of Liberty University provided a Noah’s Ark search update on the alleged NAMI hoax on CBN’s 700 Club Tuesday, November 30th, in the morning and evening. The transcribed text of the CBN 700 Club/Dr. Randall Price interview is located here. UPDATE: CBN’s 700 Club has removed the video and the text of the segment from the website per above. No reason was given. Later, pressure from NAMI in regard to legal threats was stated as the reason. NAMI, the Chinese group who claimed to find Noah’s Ark, responds to Dr. Randall Price and Dr. Don Patton’s claims of a hoax below. Dr. Price also announced that his teams using GPR have “successfully located a large man-made structure (we believe to be wood),” which has to be close to the summit of Mount Ararat. Bradley Paris thinks he found Noah’s Ark on Mount Ararat but we don’t see it, do you? A Hong Kong group from Noah’s Ark Ministries International (NAMI) claimed to find Noah’s Ark at around 3800 meters (12,467 feet) to 4200 meters (13,780 feet) elevation on Mount Ararat. The original source for the claims is located here. The jury may be out until recognized archaeologists study whether the claims are actually an ancient construction or might have been “planted” in the ice and volcanic rocks as alleged by Dr. Randall Price. As a follow-up to the email by Dr. Price, he has issued another statement. Then NAMI briefly responded to the Price email on their website. NAMI then responded in detail with video statements and translations to the allegations including responses to various questions asked about the NAMI research. NAMI previously announced finding petrified remains of Noah’s Ark in a different Mt. Ararat cave location but that was shown to probably be simply volcanic tuff. – How many laboratories tested the specimens? – Were the laboratories “blind” in regard to the expected or desired date or not blind? – What are the names of the laboratories for the tests and where are their reports documented? – Who exactly collected the specimens and what was the process for collection, protection, and examination? – Where were the specimens located from? For example, were they from the outside edge of the outside portions or the inside portions of the inside rooms of the structure? – How many specimens were tested from each of those locations? – Were there any differences in dates of the specimens’ testing results and if so, what were the differences and source locations for the specimens? – Gordon Franz and Bill Crouse share their concerns. In November 2010, Dr. Randall Price and Dr. Don Patton of the World of the Bible organization unloaded on NAMI, the Chinese group who claimed to find Noah’s Ark, in a Special Fall Report where they claim to have found the site “accessible from off the 4200 meter high camp on the Federation Trail” and have disclosed the GPS coordinates listed below. Rex Geissler traveled to Jordan to help excavate Tall el-Hammam, which Dr. Steve Collins and others believe was the original Sodom of Genesis 10-19. Dr. David Graves and Dr. Scott Stripling also believes that in Roman times Tall el-Hammam was the Roman city of Livias. Khirbet el-Habbasa just to the southeast of Tall el-Hammam (Sodom/Livias) includes a spring at the base of it and Roman fortifications including Roman houses, aqueduct, and 7 cisterns.